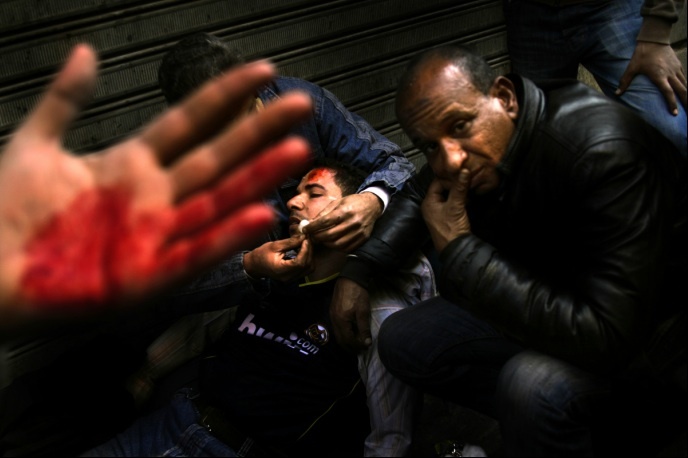 In the Shadow of the Pyramids is Laura El-Tantawy’s current project documenting Egypt’s popular uprising. Her Artist Talk yesterday evening at the Green Cardamom Light Gallery was informative and totally engrossing and drew a small crowd of interested audience. Egypt is experiencing a change that is unprecedented in the modern historical context. As an Egyptian and living in the UK, she is determined that her work be seen by Egyptians in Egypt. That is her ‘end game’ to this current project. And a book. Ultimately, though, she would love to be able to display her powerful and moving photographs in Tahrir Square one day, and invite the people of the revolution to see them at “Ground Zero’ as it were. Liberation Square as it is also known, was the hallowed ground on where the Cairenes gathered in their thousands to over several weeks prior to the ousting of the president. 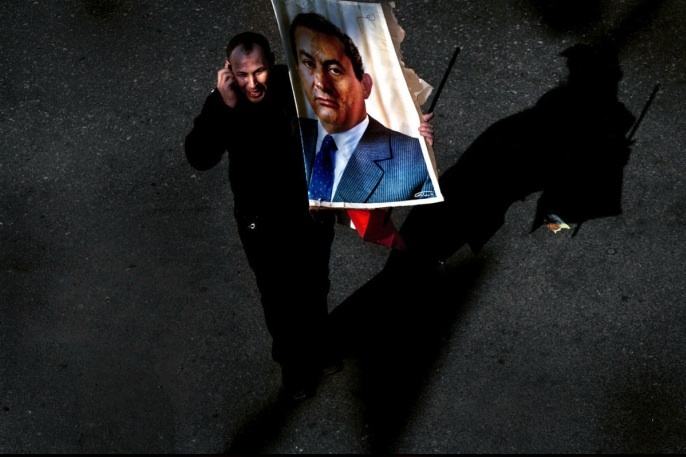 It was also the place where they celebrated with street parties after Mubarak’s resignation. For me, Egypt has also carved a significant moment in my life. 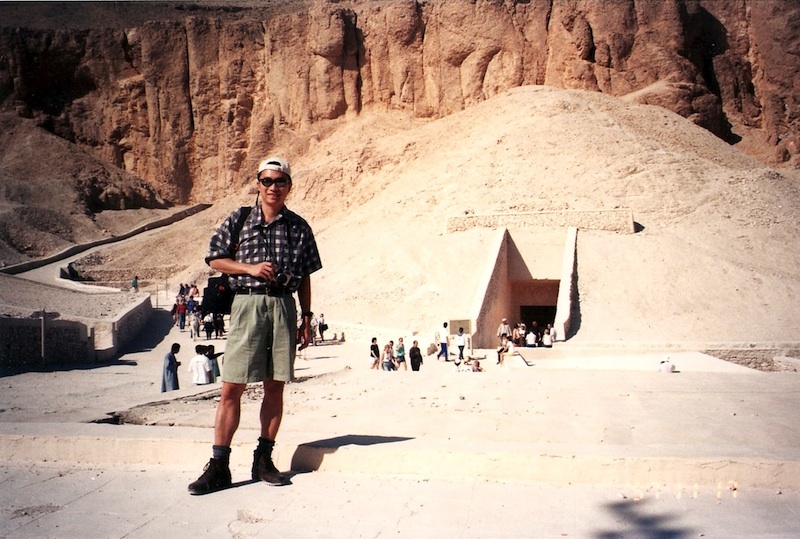 At 8:45am on 17, November 1997, 58 foreign tourists and 4 Egyptians were brutally massacred by terrorists at the entrance to the Temple of Queen Hapshetsut, Valley of the Queens in Luxor. This was a dark day for Egypt. My parents, aunt and I were with a group, about to enter the Valleys at about 8:30 am led by our tour guide. Usually, the guide would lead the bus driver pass the ticket office and straight to the Valley of the Queens first, being the closer of the two Valleys. That fateful morning, our guide decided to head for the Valley of the Kings instead. Had he stuck to his routine, our bus would have arrived right at the moment when the attack took place. The two Valleys are separated by a hillock. We were fortunate. Not so, for a South American couple who shared our dining table on the Nile boat. They joined another tour group and left earlier that morning. My discovery tour to Egypt ended abruptly the next day as I was ‘forced’ to fly home via Cairo, ordered by my better half, who read the headline news on the Evening Standard in the London underground. My discovery of Egypt is thus incomplete, and what better way than to make a return to the Land of the Pharoahs, a historical Biblical land to so many, and a nation that is in transition. Thank you to Laura who’s work peeked my curiosity once again to visit Egypt, and thank you to all those that attended explorenation’s inaugural Artist Talk.